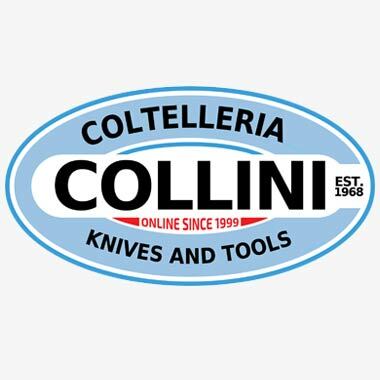 The Coltelleria Collini, founded in 1968 in Busto Arsizio, is specialised from over 30 years in cutlery and household articles and offers its clients a wide range of high quality products and of the best brands. Ferdinando Collini was born in 1943 in Fisto, a small village of the Rendena valley (Trento). When he was 14, he moved to Macerata joining a family friend where he begun working in a cutlery, learning the art of grinding. After few years of apprenticeship he moved again to Tortona where he improved the grinding technique and learnt the tradesman job. 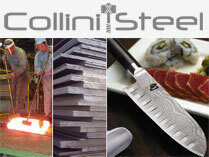 In 1968 Ferdinando Collini arrived in Busto Arsizio with the clear intention of starting his own business. So he took over a small well doing cutlery/ironmongery and realised one of his dreams: having his own cutler's shop. After a first satisfying period and due to the growing of work, he asked his younger brother Guido to come and join him. In the following years, the firm grew in terms of size and experience, assuring its clientele a professional and qualified service. In 1996 the two brothers decided to split up the firm in order to better differentiate the two sectors (cutlery and ironmongery) and to get the sons into the business. Ferdinando and his sons, Rudy and Deborah, who already worked in the shop from several years, held the reins of the cutler's and household articles' shop.